Whether you're hosting an under the sea birthday party or want to surprise someone who loves the ocean, you can create an underwater scene in just about any room. Make all who enter feel like they've taken a dive in the water by creating a point of view from under the lake or ocean's surface. Many of these decorations can be made at home to create a one-of-a-kind underwater scene. Create the bottom of a boat using brown bulletin board paper. Sketch a pointed oval shape of the boat's bottom using a pencil. Make it large enough to be easily seen on the ceiling of the room. Cut it out using scissors. Attach the cut-out boat bottom to the ceiling using tape. Give the paper some slack in the center to make it appear curved. This will set the underwater scene by making it look like you're in the water gazing up at a floating boat overhead. Make an anchor for the boat to further the underwater feel. Cut out a large anchor shape in grey or silver poster board. Use a thin rope or twine to suspend it from the side of the paper boat bottom attached to the ceiling. Cut various lengths of streamers to hang from the ceiling. Use streamers in a variety of ocean shades, including teal, sea foam green, royal blue and light blue. Vary the lengths of the streamers so that they hang at different levels from the ceiling. Ensure each one is short enough so that it doesn't hit people's heads. Attach them all around the ceiling using tape to create the look of water overhead. Cover all the lights in the room with blue cellophane to make an under-the-sea blue tone. Don't put the wrap directly over light bulbs, but instead only cover lamp shades. 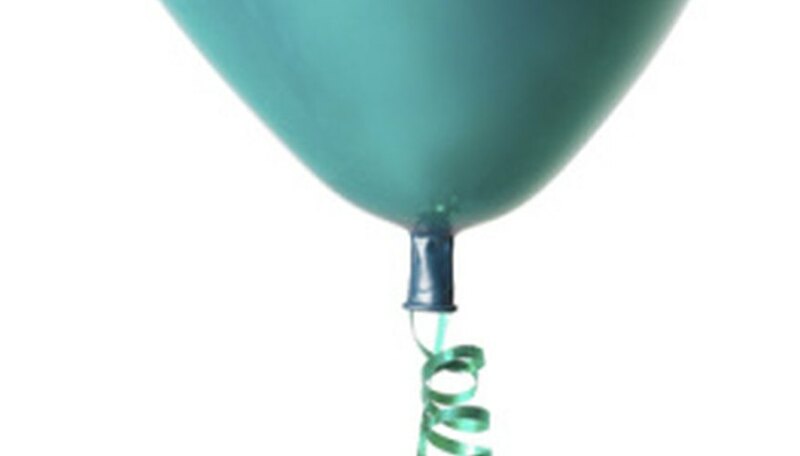 Blow up white, clear and blue balloons and scatter them around the room. These will represent bubbles in the underwater scene. Design underwater creatures to decorate the scene. Use colored construction paper to make fish, sea horses and dolphins. Sketch the shapes on paper and cut them out with scissors. Hang the designs from the ceiling with string or tape them on the surrounding walls. Cover furniture in the room with blue tablecloths or fish nets. Sprinkle it with glitter, confetti or seashells.